Know the MLS Number or Street? Boise’s distinctive neighborhoods tell a story of growth. There are great schools, plenty of shopping and entertainment; nightclubs, restaurants, wineries; and recreation for every sport and every season. 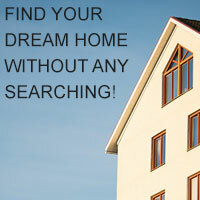 Not sure what your home is worth? Complete the form below and I will perform a Market Analysis on your home, remember the more information you can give me more accurate I can be. Relocating to Boise Meridian Eagle Nampa Caldwell or the surrounding Treasure Valley, just submit the form below and remember the more information you can give me the better I will be able to serve you. View photo tours of local subdivisions in Boise, Meridian, Eagle, Nampa and the surrounding Treasure Valley area, and all the available homes in the subdivisions.